M2Mqtt and GnatMQ are dead ? Long life to them ! In the last months a lot of people asked me if the M2Mqtt and GnatMQ projects are dead because there were no commits for a long time. I can say … no ! They are not absolutely dead ! I was very busy in the last months, starting my new exciting Red Hat career in the messaging and IoT team, but I want to continue to support the projects as lead and main committer. Of course, I’ll be still busy with my new job but my commitment is to continue to improve the libraries, fixing bugs and adding new features. Just remember that I’ll do it in my spare time so I could not be so quick to reply your suggestions; of course your help with useful pull requests will be great ! 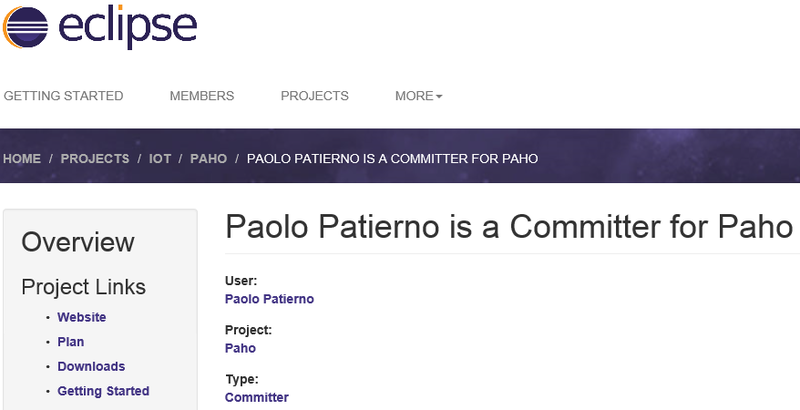 As you now, today the M2Mqtt client library is under the official Paho GitHub repo and I have finally deleted the repo on my personal GitHub account. The GnatMQ, based on M2Mqtt, will continue to live where it’s now here. I’ll do my best to check the issues and the pull requests provided by the community, happy to know that my projects have a lot of followers and there are a lot of professional solutions using them out there ! As always I invite you to share with me your experience using my libraries in order to mention your solution in the “case studies” section of the official web site. 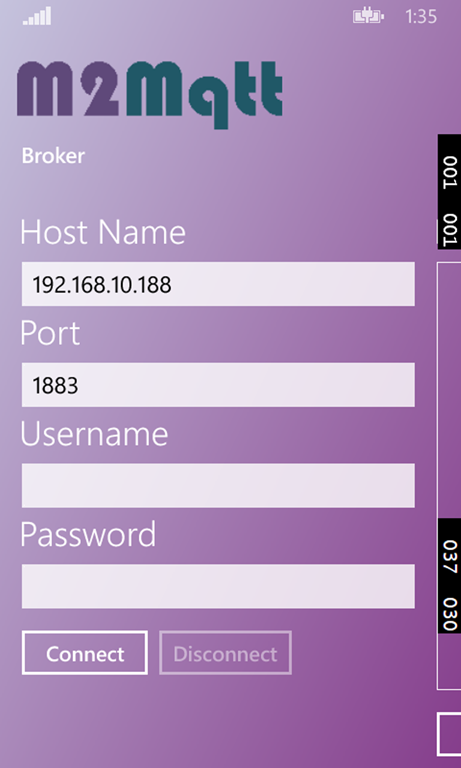 Windows IoT Core and M2Mqtt … a simple marriage ! “Hello, Windows IoT Core” as Steve Texeira wrote few days ago ! The last stable release of the new IoT (embedded ?) OS for makers (and professionals ?) is out but of course I couldn’t wait the last days to start using it so I already played with it in a lot of demos and sessions code. Who follows me knows that other than interacting with real world using sensors from Raspberry Pi 2, my great love is share these data and send them to the Cloud ! I already spoke and coded about using Pi 2 to send data to the awesome Event Hubs service (in the Microsoft Azure Service Bus family) and you can find my material on GitHub and SlideShare related to my “Telemetry with Windows 10 IoT : from Raspberry Pi2 to Event Hubs” session. 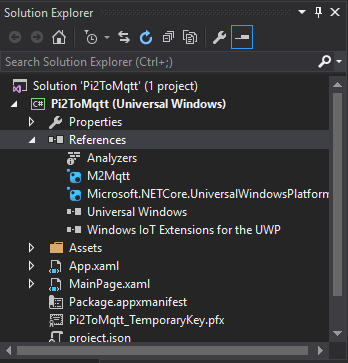 Of course, who follows me knows that I’m currently developing and updating (since about 2 years) the M2Mqtt library as part of the Eclipse Paho project (starting from October 2014) as the main MQTT client implementation for all .Net platforms (full, compact and micro) and WinRT (Windows 8.1 and Windows Phone 8.1) but … what about Windows 10 and Windows IoT Core ? Don’t worry guys ! The last stable release (4.2.0.0) in its WinRT version works great on the new awesome Microsoft OS from the PC to the Raspberry Pi 2 thanks to the UWP (Universal Windows Platform) programming model. You can use the last Nuget package for sending telemetry data from your embedded system, your PC or smartphone writing only one application ! In the next few lines, I’ll describe how to use this package to send simple temperature value from my home. I’d like only to show how simple is to use the library and give you the right tools to create you IoT solution MQTT based for a Windows IoT Core system ! Of course, it’s possible to develop an Internet of Things solution without an embedded system. Yes, of course ! I’m not crazy but I don’t want to discuss about this scenario (IoT is very huge you could think) during this article that will be focused on using an embedded hardware like the Raspberry Pi 2 with latest release of Windows IoT Core. Online, you can find a lot of article and official documentation on how to setup your board so I can consider this step already done for you ! You can leave the ALT pin of TMP102 not connected to Pi 2 because it’s for alert notifications from the sensor if temperature is higher or lower than a specific threshold. If you chose to use it, you need to connect it to a GPIO pin on the Pi 2 to receive an interrupt (Gpio Value Changed event) on alert. 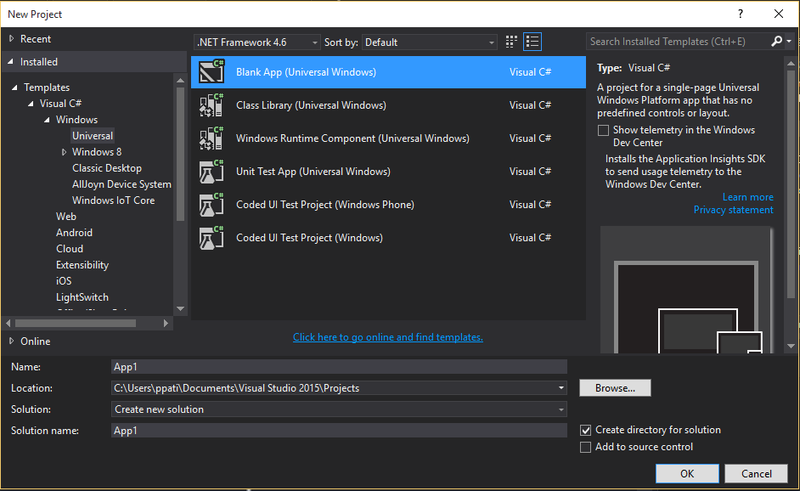 Using Visual Studio 2015, it’s so simple to create a new UWP application from “File –> New Project –> Windows –> Universal” as showed in the following picture. 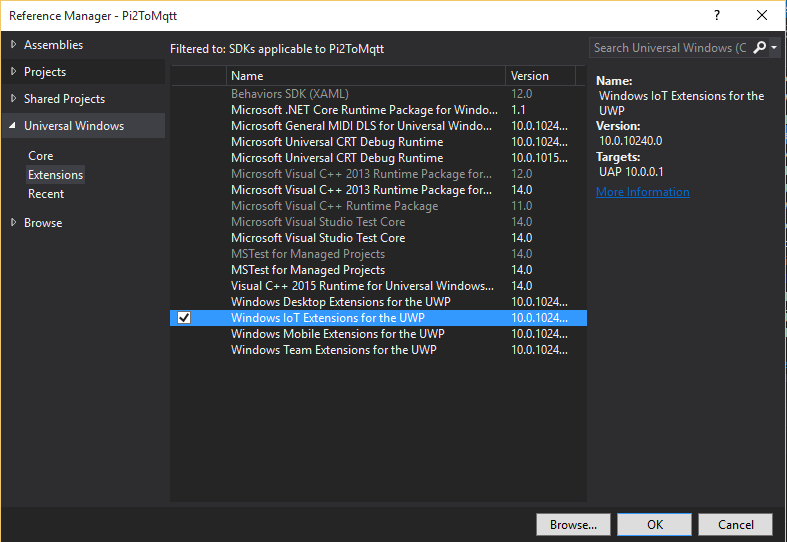 To develop on Raspberry Pi 2 and using all IoT features like Gpio pins, I2C and SPI devices, you need to add the Windows IoT Extensions for the UWP under references and selecting “Select Universal –> Windows –> Extensions”. Now you are able to interact with all your Pi 2 pins and sensors you can connect to it but what about the M2Mqtt library for sending data to the Cloud using MQTT protocol. As I said, the library is available as Nuget package without need to recompile it from source code (it’s open source ! you can do it if you want !). 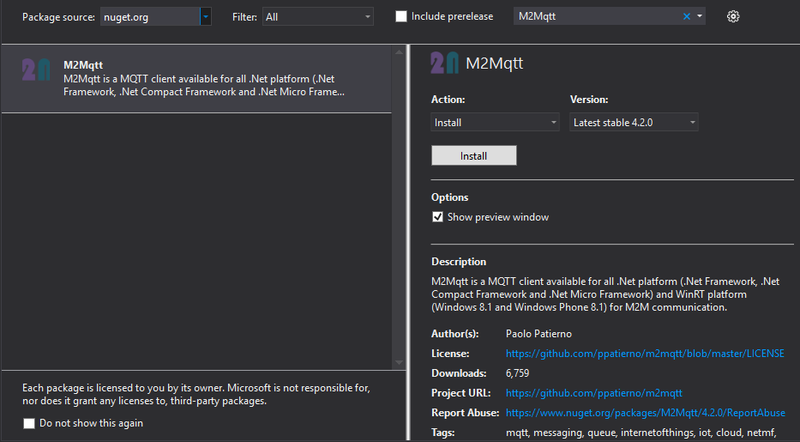 Adding the package to your project is so simple under “References -> Manage NuGet Packages”, search for “M2Mqtt” and click on “Install”. 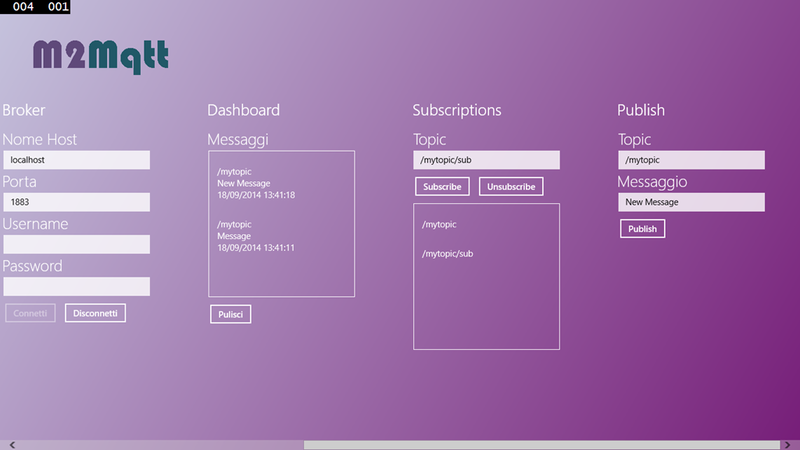 At the end of the installation you can find the package under the “Solution Explorer” window. Now it’s time to code our application, reading from the temperature sensor and publish data to an MQTT broker. The first step is to interact with TMP102 sensor to get the temperature value. To do this I already wrote the driver you can find on GitHub here and include in your project. To be much simpler as possible I wrote my code in the MainPage constructor to instantiate the TMP102 class and the MqttClient class from M2Mqtt library and to launch a task that reads the temperature and send it to the broker every 5 seconds. 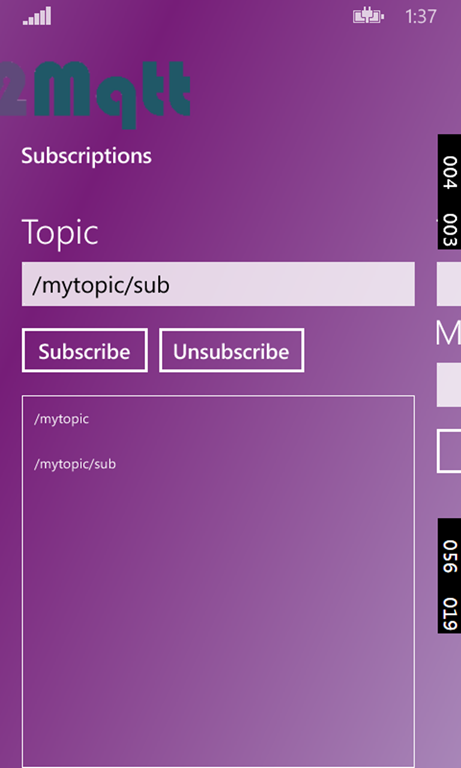 Of course, you have to write better code (for example using a Backgroud IoT Task instead of an UWP app) … but this sample is useful to show you how to integrate M2Mqtt in your project and how it’s simple to use it. The above example is very simple. First you have to create TMP102 and MqttClient instances (for the last one you need to specify the broker host name). 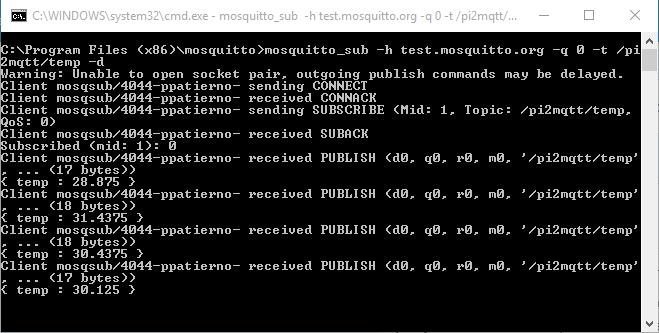 The second step is to connect to the MQTT broker and start the task for reading and sending data. Inside the task, every 5 seconds, the temperature value is read from the TMP102 instance and it’s published to the broker on the “/pi2mqtt/temp” topic in JSON format (as payload of the MQTT message). Now … you should see data received from you Raspberry Pi 2 ! Of course, it isn’t an article to deep into Windows IoT Core, MQTT protocol, M2Mqtt library and so on. I’d like only to show how you have an “out of box” way (as the M2Mqtt library) to integrate your embedded system into a huge MQTT solution and you can develop it using Windows IoT Core as OS or in general your Windows 10 system ! 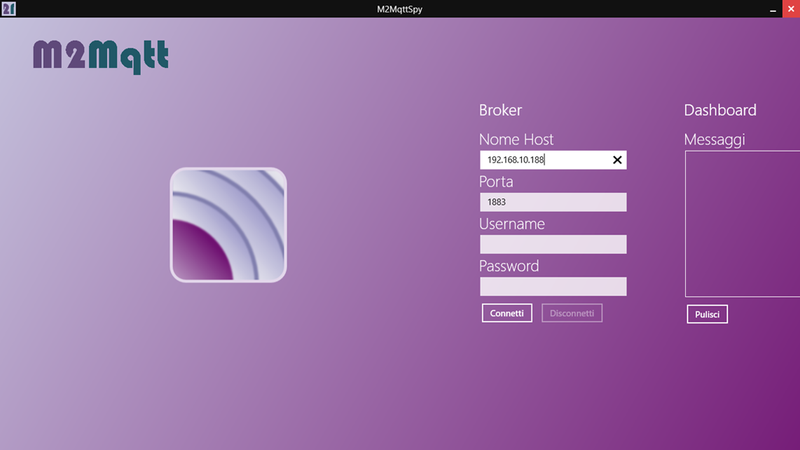 MQTT & Eclipse Paho : nuove versioni per il client M2Mqtt ed il broker GnatMQ !! Finalmente la nuova versione M2Mqtt 4.1 è stata rilasciata ! Negli ultimi mesi, la mia libreria è stata messa sotto pressione grazie ai miei amici Olivier Vigliengo (Adeneo) e Nicolas Besson (Microsoft MVP su Windows Embedded, Adeneo). Essi hanno usato il client MQTT per i loro progetti hobbistici, stressandolo non poco ! Come sempre potete trovare M2Mqtt nel progetto Eclipse Paho, su CodePlex e su Nuget. Il broker GnatMQ è disponibile solo su CodePlex. Infine, ho aggiornato anche il progetto M2Mqtt4CE (per Windows Embedded Compact 2013) su CodePlex. Dopo aver aggiunto il supporto per WinRT al progetto M2Mqtt nell’ultima release, ho deciso di realizzare una semplice “companion” app : M2Mqtt Spy. Ovviamente, questa è solo la versione iniziale, grazie alla quale poter aver un primo applicativo di testing MQTT sui proprio device Windows.